The new quality mark, which attracts a joining fee of £500 +vat (on top of INCA’s existing membership fees) and the same again for annual renewal, was officially launched in November last year (details). Providers that pay this also have to go through a validation process in order to confirm that they abide by the “best practice” criteria. At the time of last year’s announcement we noted that two ISPs – Hyperoptic and WightFibre – had already adopted the new mark. Today they’ve been joined by TrueSpeed, which has been busy building a “full fibre” (FTTP) broadband network around rural parts of South West England. 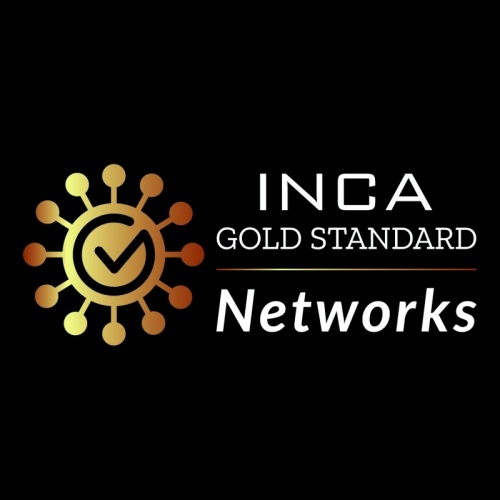 “INCA is right on the money with its new Gold Standard Quality Mark scheme. We’re thrilled to be recognised as only one of only three providers to have reached this tough full fibre certification standard as we roll out our network across harder to reach parts of the south west of England ignored by the national providers. Interesting that the Truespeed rollout is based on a 30% signup in areas where Gigaclear are BDUK funded to cover. It’s a race. Should be “some” areas where Gigaclear are present. Same also for Openreach’s FTTC but comparing FTTC with FTTP is a different consideration. Yes, Truespeed cover the area near the Hibernia cable route broadly from Burnham on Sea to Bath and use Western Power poles. Small correction to the article. INCA has several tiers of membership. Tier 1 members do not pay an additional fee for application to the accreditation process. We hope to accredit more operators that meet the criteria for full fibre, fixed wireless, hybrid and wholesale networks.